The South Fork Kings Groundwater Sustainability Agency (GSA) was formed in March 2017 under the requirement of the Sustainable Groundwater Management Act (SGMA). Signed into law on September 14, 2014, SGMA provides a framework for local governments and water agencies to manage groundwater resources through the formation of Groundwater Sustainability Agencies. 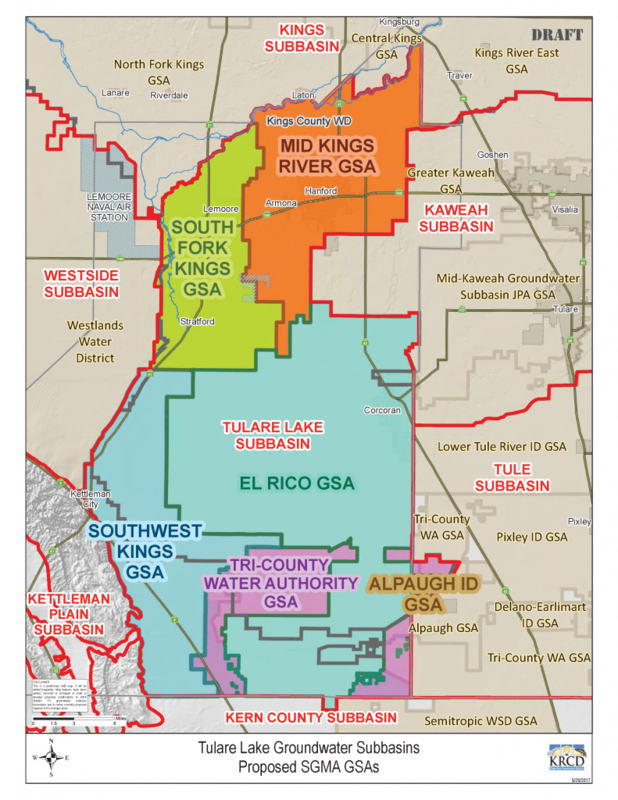 The South Fork Kings GSA is made up of five member agencies authorized to collectively develop, adopt, and implement a Groundwater Sustainability Plan for the sustainable management of groundwater in a portion of the Tulare Lake Subbasin. 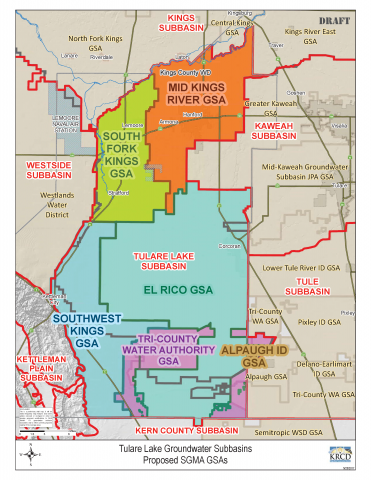 It is one of over 250 newly-formed agencies in the State of California created to implement SGMA, and one of six GSAs within the the Tulare Lake Subbasin.